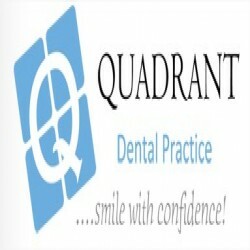 At Quadrant Dental Practice we take pride in the quality of dentistry carried out using the latest technologies and equipment on-site. Our highly qualified and motivated team seeks to ensure that your visit is as pleasant, stress free and comfortable as possible. We offer a wide range of services including general and preventative dentistry. We provide bespoke NHS treatments as well as a variety of cosmetic treatments, smile makeovers, facial rejuvenation, Dental Implants and complex restorative and oral surgery; all you need to maintain the best oral health and to smile with confidence.